Sports Massage can benefit anyone, not just those involved in sport. Sports Massage is so-called simply because it is a form of remedial massage treatment favoured by sports people for preventing and treating sports related injuries and enhancing performance. Many athletes believe that a complete training programme should include not just the exercise and correct nutrition, but also regular Sports Massage. Because each sport uses muscle groups in different ways, a qualified sports massage practitioner will have a sound knowledge of the muscular and skeletal systems, and tailor the treatment for each individual athlete. Sports Massage is invaluable to sports people during training and competition. Pre-event massage warms up and stimulates the muscles in preparation for the work ahead and can also have accompanying positive psychological effects. Post-event massage is important in helping sore muscles to detoxify, stretch, re-align and heal in readiness for the next bout of activity. Just as sports people work hard in training and competing, many prople are also working very hard at their jobs, looking after the house and garden, and caring for families. Our bodies are put under similar stresses and strains resulting in back pain, joint pain, work-related injuries and postural problems. Sports Massage results in pain reduction, improves the condition of muscles and joints, and promotes health. 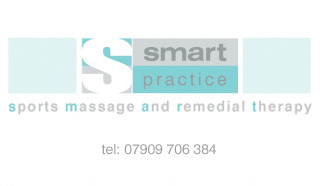 Sports Massage is beneficial whatever your level of involvement in sport or activity or indeed, inactivity! The primary aim of Sports Massage is to restore and maintain full function to muscles and other soft tissues (joints, tendons and ligaments). This can simply mean easing the tension that has built up in your shoulders over long hours in the office, or restoring maximum performance to an over-trained muscle group in an athlete. Directed stretches are applied to restore flexibility and mobility to muscles and joints, and to prevent the build up of muscular tension which occurs through excessive or repeated use, injury and postural strain. Massage stimulates the circulation via the pumping effect which flushes the muscles with fresh nutrient-filled blood. This is particularly important in post-exercise recovery to reduce muscle soreness, post-injury to promote healing, and when tense muscles ache and feel tired because of sluggish circulation and toxic build up. This pumping effect also aids lymphatic drainage thus removing excessive tissue fluid and filtering out toxins which can accumulate following intense activity, through injury or in certain medical conditions. Following injury, surgery or certain disease processes scar tissue forms. The formation of scar tissue can be prevented or reduced by specific massage techniques which mobilise the area and aid the healing process. This can help to treat the 'hard lumps' and 'knots' that are often felt in muscles. Functional recovery of the structure is optimised and re-injury prevented. The effects on the nervous system are varied and numerous. Sports Massage not only relieves tension from individual muscle groups but it also has the effect of releasing tension, both physical and emotional, throughout the body. This accounts not only for some of the pain reducing effects but also for the feeling of relaxation. It also positively affects certain medical conditions such as stress and anxiety, migraines, high blood pressure and fibromyalgia. Neuromuscular Technique and Trigger-Point Therapy, Soft Tissue Release, Connective Tissue Manipulation, Fascial Release and Muscle Energy Technique. 'Remedial' literally means to 'restore to health' which is the aim of this treatment. An assessment is made of the musculoskeletal system, the problem areas are examined and postural imbalances are identified. The techniques are then applied in a prescriptive manner according to an individuals needs. Trigger points are focal areas within muscles that are held in spasm and over time result in tight, hard bands that can be painful. They can occur in anyone and have many causes e.g. poor posture, inadequate nutrtion, over-use and injury. One of the most effective ways of de-activating these tender points is through specific massage methods. This is followed by stretching the muscle to restore length and function, and ultimately maintain the achieved pain reduction. Predisposing factors are also addressed to prevent recurrence. Soft tissues are stretched in a way that cannot be achieved by self-stretching thus increasing mobility and flexibility. This is particularly useful in sports people but also in those that have arthritis, whiplash injury, sciatica or poor posture. Various stretching techniques can be applied to gain the required muscular release and individuals are encouraged to carry out a regular stretching programme at home to maintain the results. Connective tissue is a thin, 'stocking' like structure that lies under the skin from head to toe and extends to envelop the muscles. It can become damaged, thickened and scarred in a similar way to muscle, with similar causes (i.e. injury, poor posture, emotional stress). The changes happen over time and results in the connective tissue becoming less mobile and starved of good nutrition. This can result in pain which in turn can impinge on adjacent structures such as muscles and joints. Did you know that headaches and neck pain are commonly caused by tense muscles in the head and neck region? Responses to poor posture, stress or injury can result in tightening of the muscles. This is particularly seen around the neck and shoulders, and the upper back is held stiff and tight. This can result in tension headaches, back, neck and shoulder pain. This treatment enables patients to adopt better neck posture, increase range of movement and release tension headaches. Even the pain severity and duration of migraines can be reduced. Pregnancy Massage has been identified as being very beneficial to women, particularly in the latter stages of pregnancy. If the client is in her 2nd or 3rd trimester and is experiencing a low-risk, uncomplicated pregnancy then gentle massage may be offered on the basis that she has consent from her midwife or GP. Pregnancy can be one of the most exciting and fulfilling times in a woman’s life bringing tremendous feelings of joy, anticipation and contentment. But, it is also a time of great physical and emotional upheaval. Together with the ever important trio of rest, good diet and exercise, massage can play an important role in helping a woman cope with the physical and emotional demands of nine months of pregnancy. Massage has also been reported to be helpful in labour. Gentle massage can be performed by a partner over the lower back, lower abdomen or wherever the contractions are felt. Soothing, circular stroking over these areas are a preferred drug-free pain relieving method in some women, and are found to be particularly useful in the early stages of labour. Massage continues to be of great benefit in the post-natal period to help combat the stresses that are placed on the body during pregnancy, labour and caring for young children. The senior practitioner has undertaken specialist training in pregnancy massage and utilises gentle, safe massage movements to help relieve many of the stresses and discomforts of pregnancy, and the back massage is particularly welcoming! It helps to combat aches and pains - Often situated in the lower back, hip area, shoulders and neck and caused by muscular tension, altered posture and overstretched ligaments. It also helps to alleviate the tendency to cramp, especially in the calf muscles. It can address problems such as sciatica and pelvic pain. Relaxation Massage is a treatment that uses the same techniques as Sports Massage and Remedial Therapy but it is generally 'lighter'. The result is release of tension throughout the body which ultimately relaxes and de-stresses and gives a wonderful sense of well-being. The session is tailored to you, simply explain how you feel and what you need. You may be someone who is always busy with no time for yourself to relax and unwind. Or, work is leaving you tired and tense at the end of the day. Perhaps you are suffering from stress, feeling anxious or having difficulty sleeping. Most people spend much of their time worrying about other people or pre-occupied by 'life's tasks' - earning a living, rushing to exercise at the gym, housework etc. How often do you stop and do absolutely nothing? How often do you allow yourself to totally relax and indulge both mind and body? We all need to stop occasionally, put ourselves first and recharge the batteries. It is important to remember that health is more than the absence of illness...it is the presence of energy, well-being and relaxation.